Angela Nicoletou's recipe is a classic dish full of taste and goodness guarantee to please even the fussiest of eaters. How nutritious is the Asian cuisine? Nutritionist Dimitra Papamichou talks to SBS Greek and explores favourite dishes of the popular Asian cuisine. Roast goat made easy as long as you go slow and follow Angela's recipe! Try an alternative to roast lamb or beef and be surprised. A super healthy salad with chickpeas, pumpkin and kale from Angela Nikolettou. Maria Bernardi: "New York is thirsty for ancient Greek therapies through our cuisine"
A new beginning in her career has started for Greek-Australian chef Maria Bernardi, who has lived the last five years in United States. Are green beans good for you? Greek beans (fasolakia) are a good source of vitamins and minerals and Greeks love them. But how healthy are they? Walnut is a food rich in antioxidants, Omega-3 vitamin and it can promote a healthy gut. 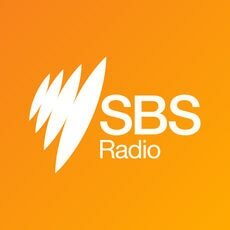 Nutritionist Dimitra Papamichou talks to SBS Greek. What do we need to know about almond, soy and coconut milk? SBS Greek Program's nutritionist Dimitra Papamichou talks about the pros and the cons of almond, soy and coconut milk. Eggplants are full of taste. Try this salad with yoghurt and walnuts by Angela Nicoletou.